Directions: From I-405, take the NE 8th St exit heading west. Turn right at the first street, 112th Ave NE. Go about 10 blocks, and the fields will be on your left. 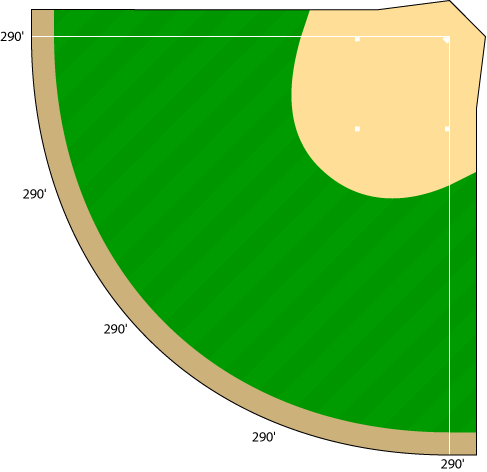 Outfield: 290 feet throughout the outfield. Fence 5'11" tall. 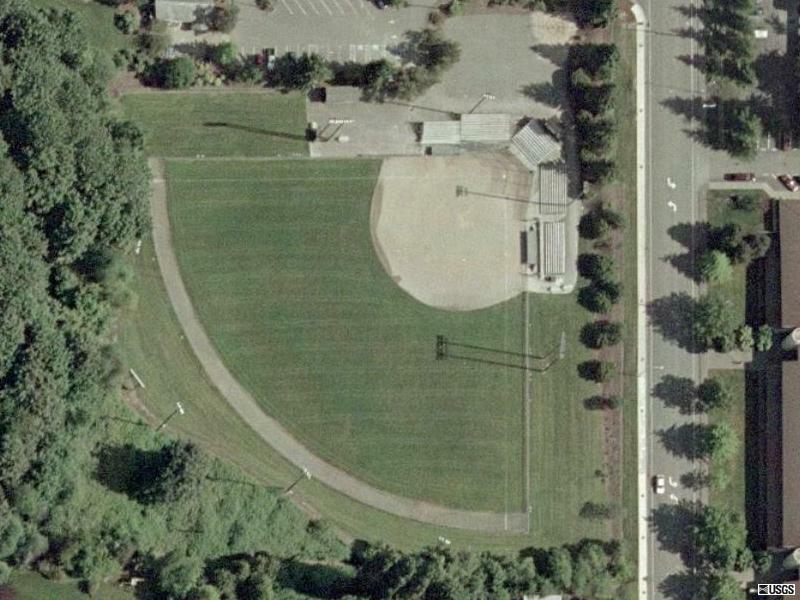 Infield: 103 feet at the lines, 128 feet at second base. Backstop: 23'7" down the lines to the backstop. Infield: The infield at HV1 is now turf. 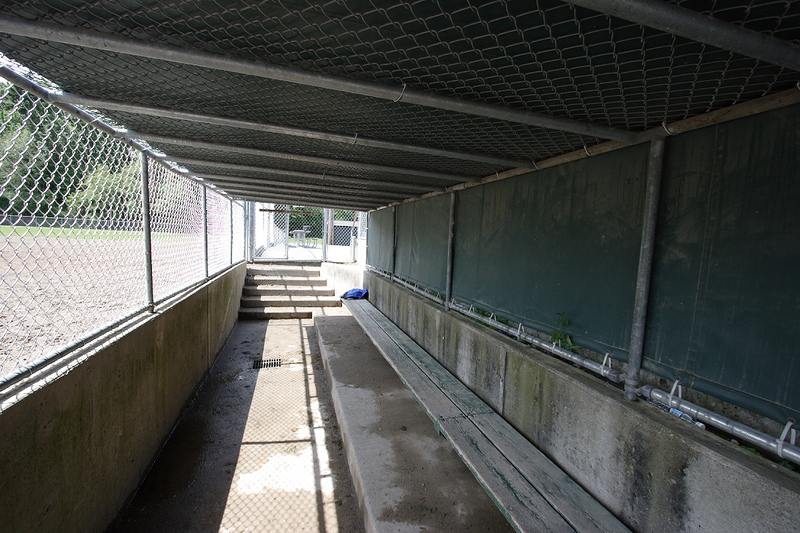 Dugout: The dugouts at HV1 are nice---they're both actually "dug out", and are covered. They used to have drinkig fountains in them, too, but they eventually broke and were removed. 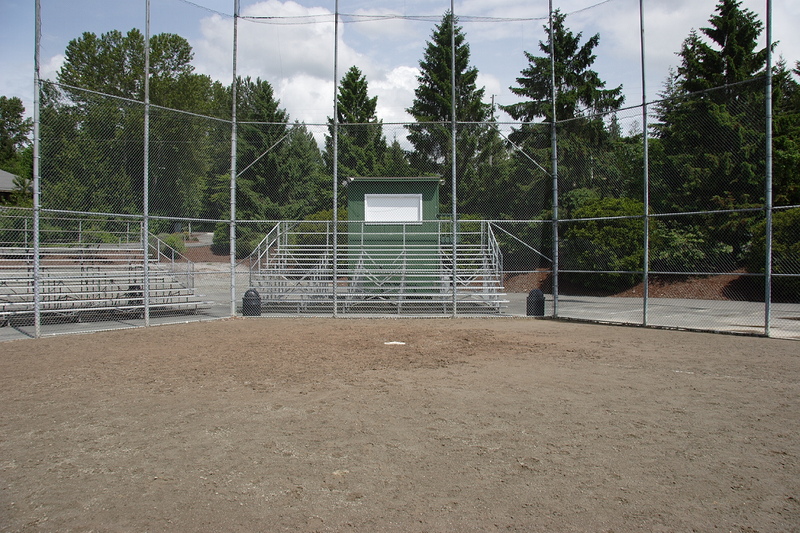 The third base dugout has entrances on both ends, whereas the 1st base dugout only has one entrance, on the far side. 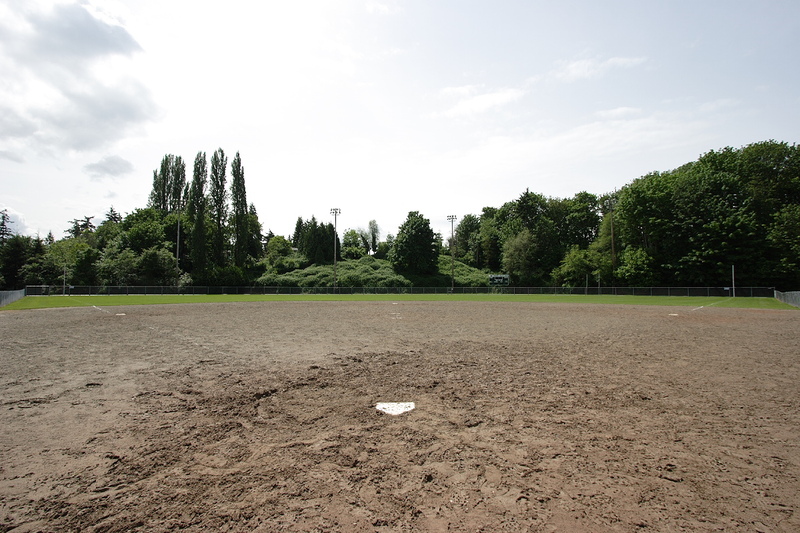 Sun: The sun can be a minor factor for right-handed batters in evening games, but isn't much of a problem for the fielders. There can, however, be a lot of glare off the bleachers behind home plate, and sometimes it's hard to pick up the ball off the bat. 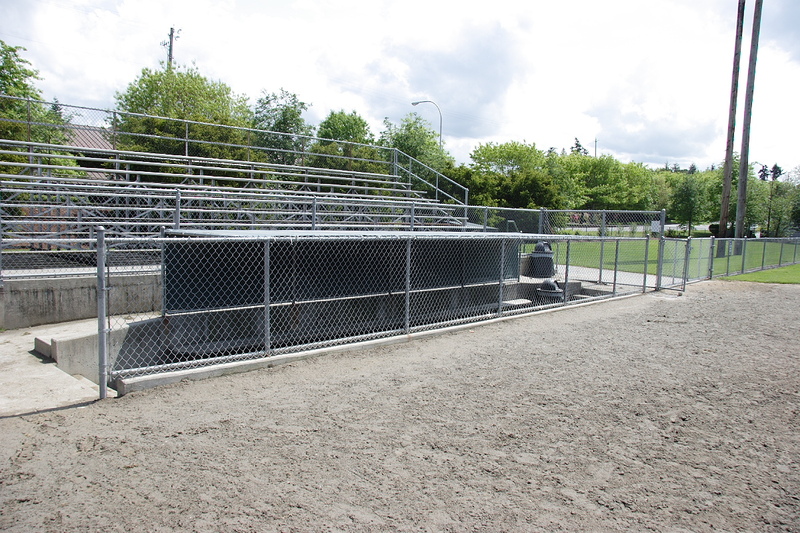 Rain: Hidden Valley tends to drain poorly, and gets rained out more often than most fields. 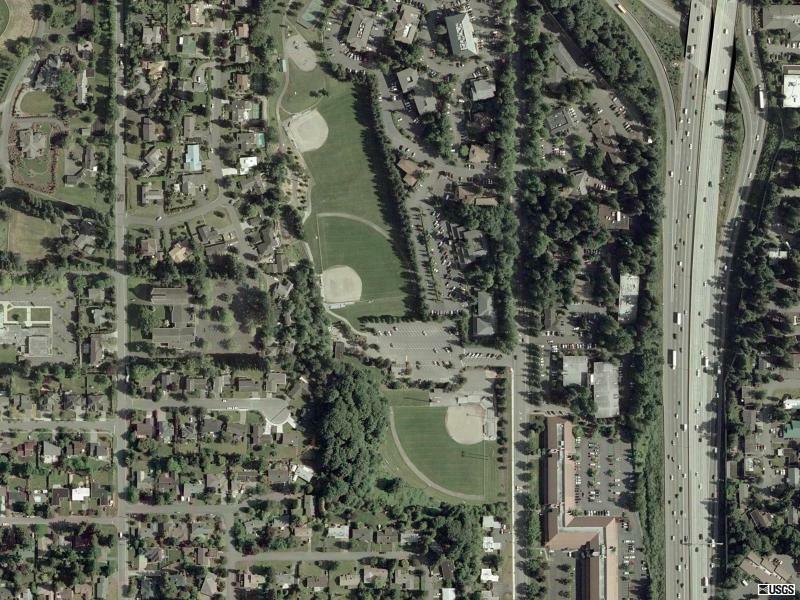 Area: Hidden Valley is located right near downtown Bellevue, and within close distance of a lot of restaurants. 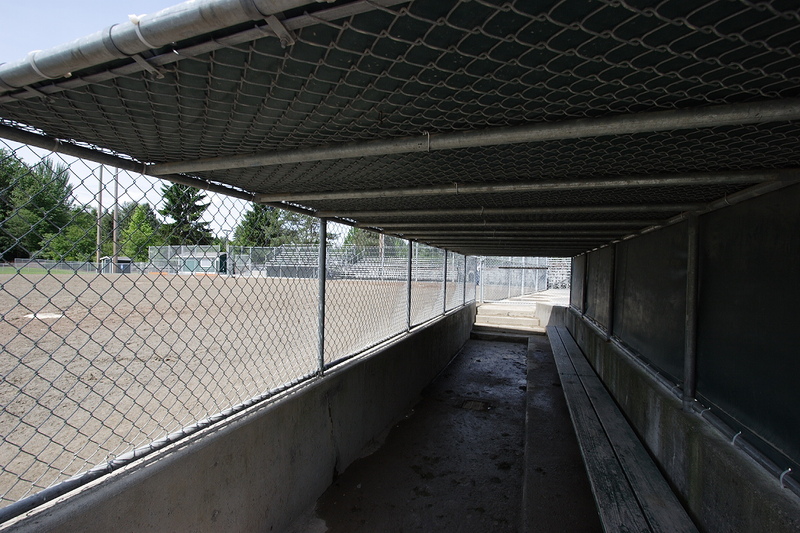 Notes: Hidden Valley 1 is known for its dugouts and thick outfield warning track.